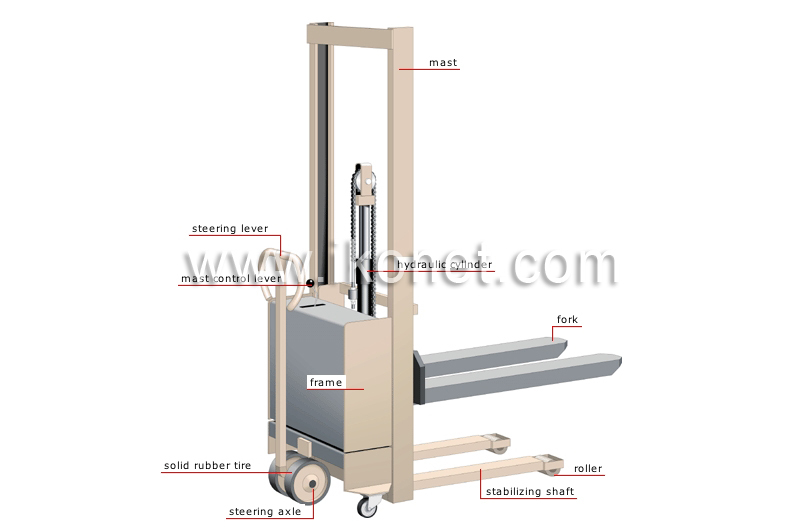 Cart with a fork for stacking loads at various heights. Pivoting rod connecting two wheel hubs; it rotates on a vertical assembly to change the direction of the truck when moving it. Metal structure of the truck. Long part that is placed parallel to one of the forks to balance the truck while it lifts a load, thus avoiding tipping. Column linked to the steering axle for manually steering the truck.